Absolutely. Book synopses are THE thing I look at when I want to buy a book (after looking at the cover 😉 ) Book summaries can make me want to purchase a book or give up on it. I give great importance to them, and that’s why I think a good deal of time and attention should be used to write a well done synopsis. Reading them is the first step (or the second one if book covers are equally important to you) in the purchasing process. And you? Do synopses convince you to read the book? 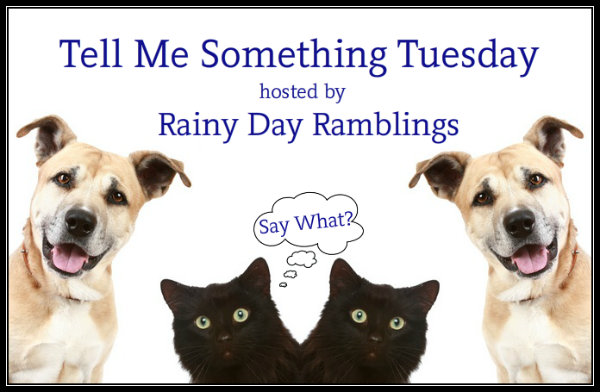 This entry was posted in Books, Tell Me Something Tuesday and tagged Books, Synopses, Tell Me Something Tuesday. Definitely. If it’s an author I know, I usually buy the book without reading anything. However, on authors I haven’t heard of, yes I will read first the synopsis first. The book synopses is extremely important, especially the first sentence. I have to be interested in the description, or I don’t bother. Other reader’s reviews, and book covers also help make the decision. I do read them thoroughly, and yes the synopses makes my mind up for me, but I must say usually it’s the cover that attracts me to a book, then I read the synopses, and then I make up my mind. The synopsis of a book is so important! If I’m not interested in the plot, there’s nothing motivating me to connect with the characters. Not only that, but I pay a huge amount of attention to the technical aspects of the synopsis — grammar, spelling, punctuation, sentence construction. If the author doesn’t care enough to polish up the short piece that’s going to be the public face of the book, I have to assume that the writing in the book itself is going to be even worse. That’s a deal-breaker for me. All very interesting comments! As an author, a book synopsis is a different thing than what we’re talking about here. A synopsis for an author is a scene-by-scene or chapter-by-chapter sort of outline submitted along with a couple of chapters to a publisher to see if the publisher is interested or not. A blurb is what we write to describe our book’s main plot and/or entice readers to buy it. Both the synopsis and blurb are VERY difficult to write! The blurb is especially challenging. As a reader, I buy books mainly on that blurb (sometimes even if the author is someone I’ve read before and liked I might decide not to buy that book because of the blurb). Most of the books I’ve purchased this year were bought because the blurb hooked me. Absolutely! I always read the synopsis for a book, and it plays a huge part in whether or not I choose to buy/read a book.